The ultimate long cutting comb. 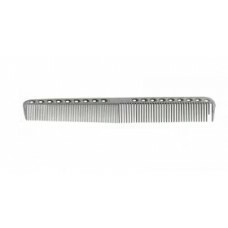 Teeth pitched for precision cutting and long length particularly ideal for long hair. The YS 335 features superb weight balance, YS PARK signature parting head design and grip holes set at 1cm increments. Popular model which continues to convert stylists to use YS PARK PROFESSIONAL products.